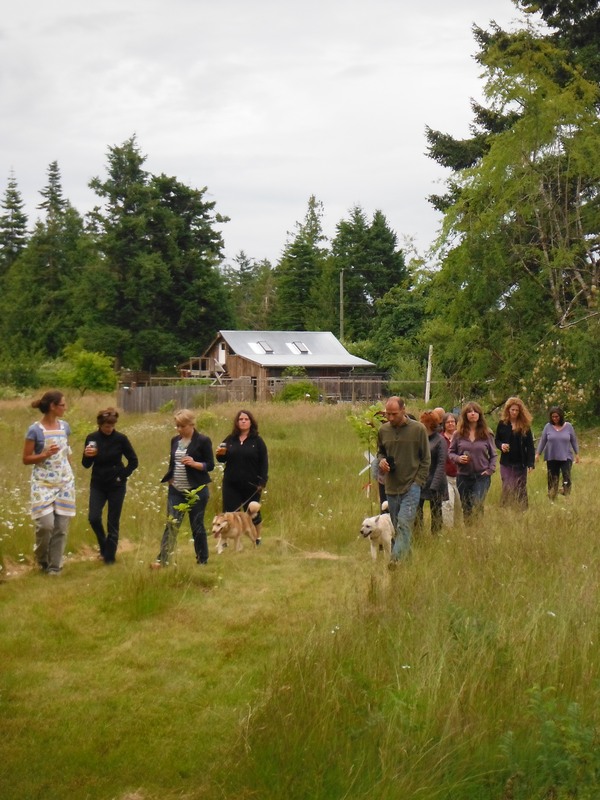 We invited our cut flower CSA supporters (two and four legged as well as two and four wheeled) to a lovely early summer evening farm tour with stops along the trails for seasonal drinks and local snacks. Folks got a chance to see just how informal our operation is, and what our challenges are with soil fertility; weed management and irrigation of cash crops and nut trees. I put together a few centerpieces for the occasion to showcase the simply imperfect abundance that we surround ourselves with. 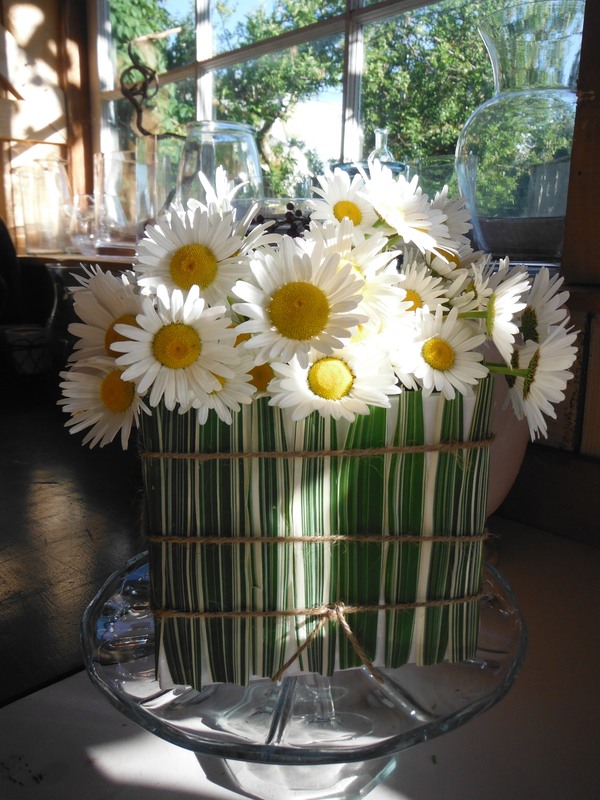 The daisies were for Ira, wwoofer of surreal talent who just loved the look of our invasive daisies in the nut field! Good thing we hadn’t mown them all down yet. 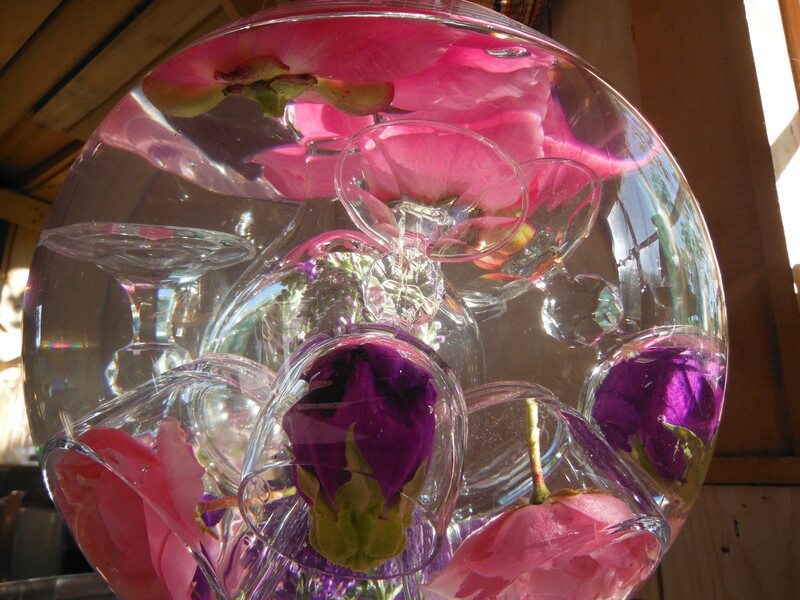 My favourite was suspending bee friendly campanula, rose, and veronica underwater in a fish bowl inside shot glasses. 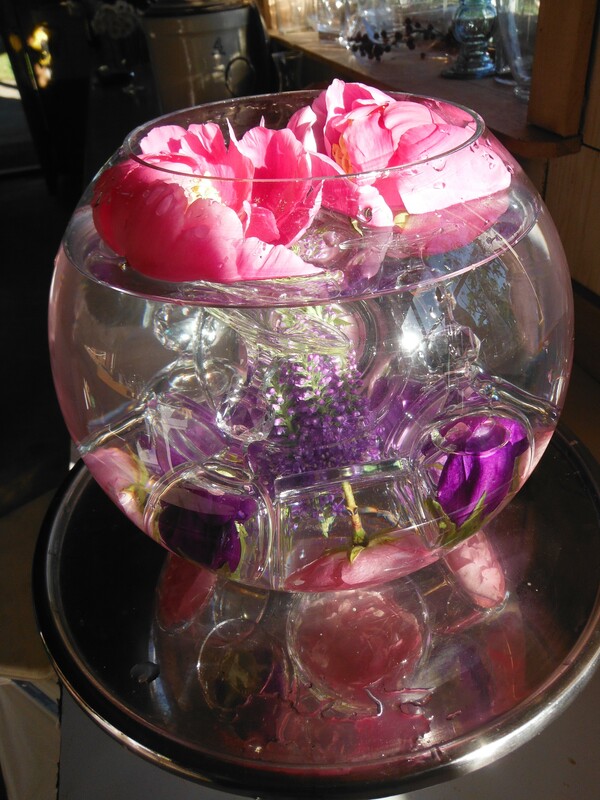 A few peonies floated on top. With the days so incredibly long this week, we all feel like we’re bobbing about in a bit of a trance looking at the outside world from within our weed patch bubble. Everyone was all smiles and we were so grateful to kick start the solstice week with our supporters who don’t seem to mind that we’re on a steep learning curve and figuring out everything the hard way as we go! 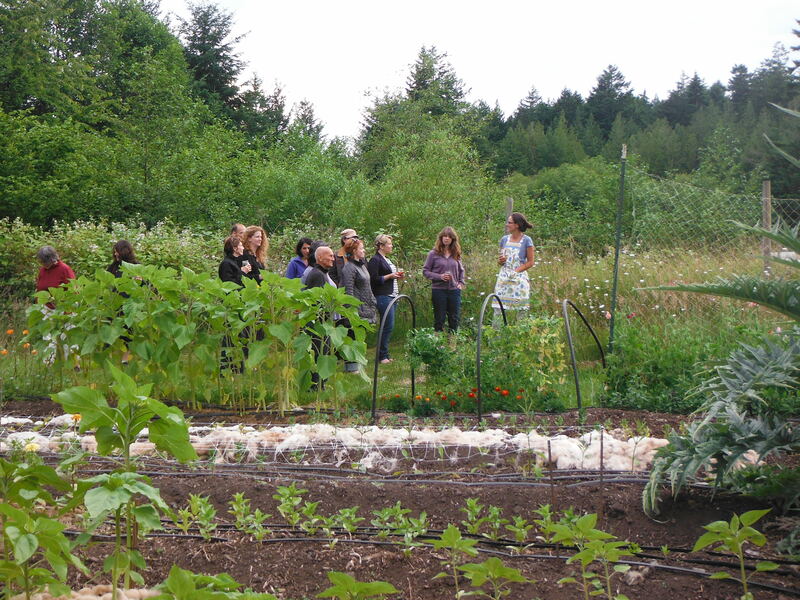 Here is a toast to growth this summer, of the plants and nut trees and most importantly ourselves… happy solstice!